Quintel can remanufacture your heat exchanger exactly to its original specifications, from its blueprint or drawing. We can also remanufacture to original specs by creating our own drawing from your physical model. The option of having your heat exchanger completely rebuilt from its blueprint (or based on the existing model) is a valuable one, ensuring as it does that you have equipment which continues to function as expected. Every remanufactured unit that leaves our shop is guaranteed against leaks. A complete set of non-destructive tests is performed as appropriate to the vessel, including air testing of the tubes and of the complete assembly, a vacuum test, and a hydro test as necessary. 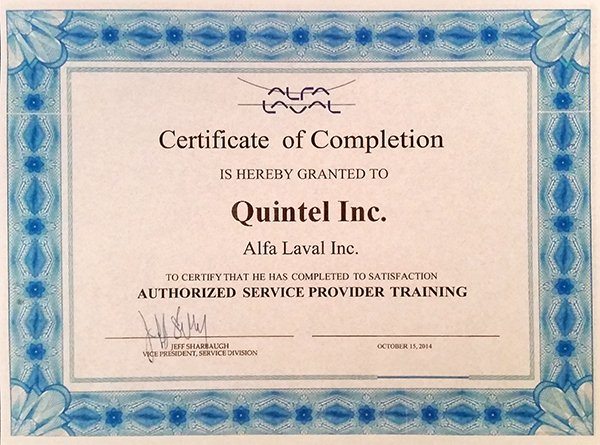 Quintel is an ASME-code heat exchanger repair shop, carrying an R stamp, certifying our shop in the repair and/or alteration of those pressure vessels, as well as boilers and other pressure-retaining items. 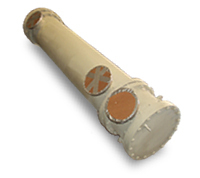 If you need more information about our heat exchanger remanufacture, please contact us. 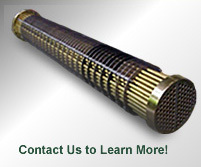 You can also request a quote to begin the process of having your heat exchanger rebuilt to its original specifications.